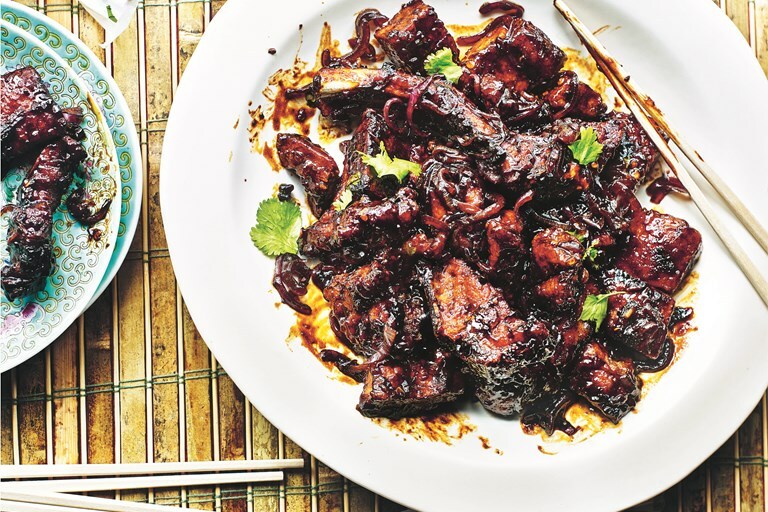 Jeremy Pang's Cantonese pork chop recipe is everything you'd want from a sticky, tender and devilishly rich pork dish, just the thing for a Chinese feast. This recipe is taken from Hong Kong Diner by Jeremy Pang, published by Quadrille. Photography by Kris Kirkham. Worcestershire sauce, brown sauce and ketchup are a true show of how British food has been intertwined into Hong Kong cuisine. Unusual ingredients to find in typical ‘Chinese food’ perhaps, yet when combined with chilli oil and soy sauce, the balance of sweet and sour flavours marries seamlessly, creating the same flavour balance that Cantonese cuisine is so famous for.